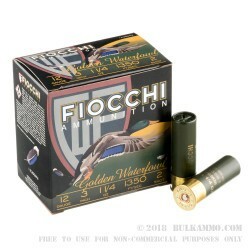 Fiocchi’s Golden Waterfowl line of high quality waterfowl loads in 12 gauge gives you the versatility you need when you’re out on the marshlands hunting a variety of birds including geese and duck. 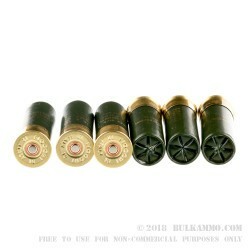 The 3” shells and the #2 shot gives you an excellent change of taking more birds, without causing irresponsible shots to be taken or bad results from poor density and poor payload delivery. 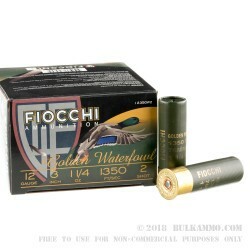 The zinc coated steel shot is safe for use in a majority of the wetland areas where you would be sanctioned to hunt waterfowl, and the larger shell size paired with the larger shot size means that from blind or boat or on foot, you are going to take more birds with the regulation shot than you would with your old school hunting rounds from 5+ years ago that utilized lead. It also means your speed and delivery of pattern on the birds is going t be higher quality, and your ability to dial it all in with chokes will be exceptional, because you’re starting with so much steel shot to begin with. A smart hunter knows a bargain when they see one and for a #2 shot 3” shell, you open yourself up to fantastic versatility in the load and in the field. 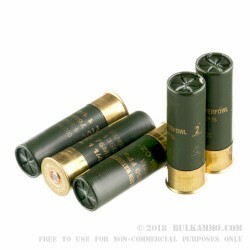 In a pinch this could also server as a very good moderate range self defense round due to the loadout, but it is purpose built for sporting purposes and especially those times where you need larger shot like for geese at the same time needing added payload to compensate for the lighter steel shot.